Chinese Calendar 2011 - PDF landscape format in Simplified Chinese (简体). Chinese Calendar 2011 - PDF portrait format in Simplified Chinese (简体). Chinese Calendar 2011 - Printable HTML format in Simplified Chinese (简体). Chinese Calendar 2011 - Text format in Simplified Chinese (简体). Chinese Calendar 2011 - PDF landscape format in Traditional Chinese (繁體). Chinese Calendar 2011 - PDF portrait format in Traditional Chinese (繁體). Chinese Calendar 2011 - Printable HTML format in Traditional Chinese (繁體). Chinese Calendar 2011 - Text format in Traditional Chinese (繁體). That is a solar calendar? What is a lunar calendar? What are solar terms? How many months in a Chinese calendar year? 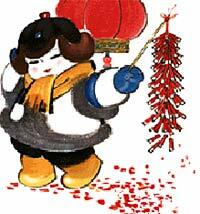 If you are interested in those questions, read Chinese Calendar Background Information.